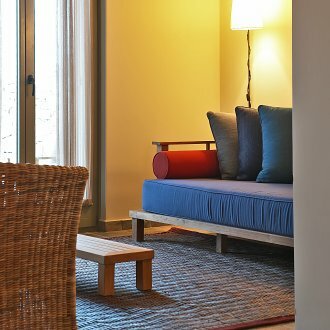 What is a holiday apartment in Greece? Holiday apartments are becoming quite popular lately, instead of hotel rooms, due to the extra space and privacy they usually offer. In Greece, a holiday apartment is a unit with at least one bedroom (separated from all other rooms), a kitchen or kitchenette, private bathroom and a living room that is sometimes an extension of the kitchen. Apartments with one bedroom are idela for families with young children who usually sleep in couch-beds in the living room. Larger apartments, having more than one bedrooms, can also be rented by more than one couples. Renting an apartment in Greece proves to be quite economical as the tennants are able to save a lot of money by preparing their own meals. This is mainly the main reason why families tend to rent apartments rather than rooms without kitchen facilities.